If someone who has worldly means sees a brother in need and refuses him compassion, how can the love of God remain in him? Children, let us love not in word or speech but in deed and truth. (1 John 3:17-18)Bishop Baker of the Catholic Diocese of Birmingham, Bishop Parsley of the Episcopal Diocese of Alabama, Bishop Willimon of the North Alabama Conference of the United Methodist Church, and I have joined together to bring a challenge to the recently enacted state immigration law. It is with sadness that we brought this legal action but with a deep sense that we, as people of faith, have no choice but to defend the right to the free exercise of religion granted to us as citizens of Alabama. The new state law is broadly written. Both supporters and opponents of the law agree that it is the broadest and strictest immigration law in the country, affecting every part of the life of undocumented immigrants. 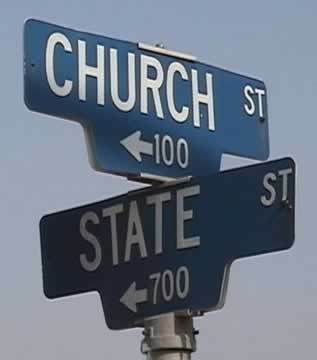 In doing so, however, the law makes illegal the exercise of our Christian religion which we, as citizens of Alabama, have a right to follow. The law prohibits almost everything which would assist an undocumented immigrant or encourage an undocumented immigrant to live in Alabama. This new Alabama law makes it illegal for a Catholic priest to baptize, hear the confession of, celebrate the anointing of the sick with, or preach the word of God to, an undocumented immigrant. Nor can we encourage them to attend Mass or give them a ride to Mass. It is illegal to allow them to attend adult scripture study groups, or attend CCD or Sunday school classes. It is illegal for the clergy to counsel them in times of difficulty or in preparation for marriage. It is illegal for them to come to Alcoholic Anonymous meetings or other recovery groups at our churches. Continue Reading….. This is just, well, evil. There is no way a priest or deacon will follow this law. The idea that a Catholic priest or deacon would deny a sacrament to an undocumented immigrant is just plain silly. This entry was posted in Church and the Public Square, Freedom of Religion and tagged Catholic Bishops, Immigration. Bookmark the permalink.